We all know or have tasted New York-style pizza or Chicago’s deep dish, and we may know that other cities claim their own style, but do you know what they are? 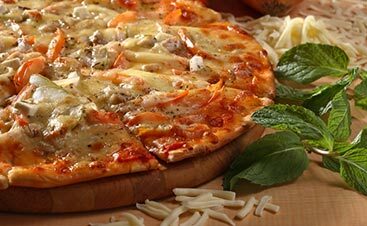 Do you know other styles of pizza from around the world? From New York to Spain to Japan to California, there are some wild and flavorful varieties out there, making up an entire pizza culture. 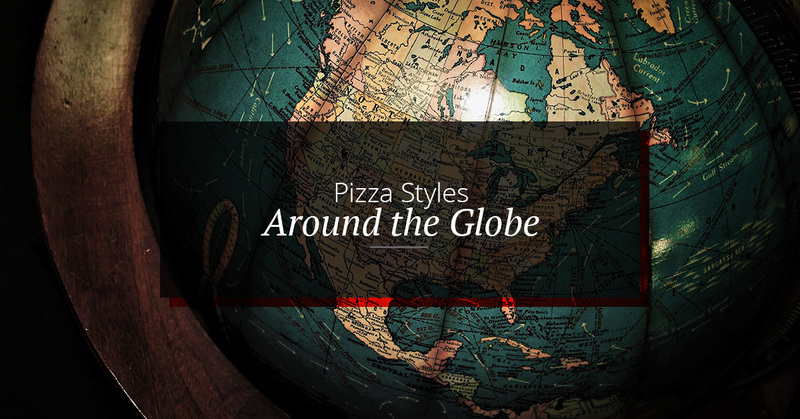 In honor of October’s National Pizza Month, we want to travel the world with you to try as many varieties as possible. So let’s get going! The team at Upper Crust Pizza is hungry. A surprising crust and a special blend of cheese gives you St. Louis-style pizza. Created in the 1960s, the crust is made without yeast, giving it a cracker-like crunch. Many of these pizzas are made with Provel cheese, which combines cheddar, mozzarella, and provolone. You’ll recognize this style from the square shape and crispy edges which is from baking the dough in a well-oiled pan. 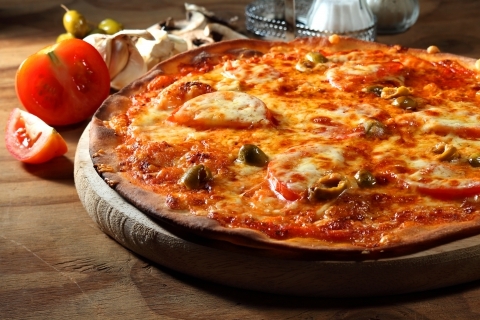 This type is also known for a unique method of constructing the pizza, with toppings placed on first and the pizza is finished off with cheese. While this leaves you without crispy pepperoni, the Wisconsin brick cheese, which is similar to cheddar, makes up for it. From our history of pizza blog, you’ll know that pizza found a place in the big apple in the early 1900s at a pizzeria named Lombardi’s. 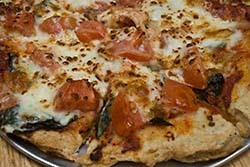 The hand-tossed dough is large, thin, and greasy, often leaving the consumer needing to fold the pizza and tilting their head slightly to devour the slice. New Yorkers love the crispy crust, a healthy portion of sauce, and a thick layer of cheese. Traveling to the Catalonia region of Spain, you’ll find coca. The flatbread can be served up as sweet or savory varieties, but often includes caramelized onions, red peppers, squash, and Spanish sausage. Other toppings can include anchovies, ham, spinach, or a combination of onion and honey. What some may miss from this pizza, though, is the cheese. Most Cocques forego the popular ingredient. The sweet version of this Spanish pizza is topped with pine nuts, sugar, and anisette, a popular Catalonian liquor. This one may be a stretch, but Okonomiyaki is a savory pancake that includes a variety of ingredients, including cabbage, pork, noodles, and squid. The ingredients are mixed together with a batter and fried on a flat grill. When the pancake has been cooked through on both sides, a layer of okonomiyaki sauce, which tastes like Worcestershire sauce, is added. Additional toppings like seaweed or an egg are added and the dish is served! This pizza-like dish is also missing the cheese. Back to the U.S., California is more recognizable, but still has plenty of unique toppings. This style was originally developed in the 1980s when Chef Ed LaDou created a pizza with ricotta, red peppers, mustard, and pate. He also created a famous BBQ chicken, which launched the California style across the nation. 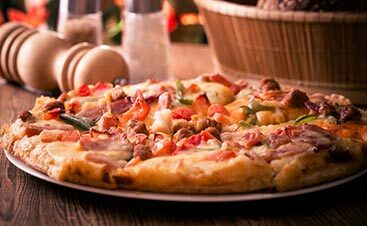 While it may not be known around the globe for having its own style, Upper Crust Pizza has created a new style that is all Santa Fe. Combining classic ingredients with a Tex-Mex mix. Our famous New Mex pizza includes Tortilla Flat’s red chile sauce, cheddar cheese, onion, tomato, and chorizo. A spicy concoction that is filled with delicious pizza flavors. 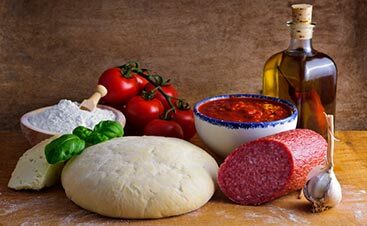 From around the world, pizza has branched off in a thousand directions with thousands of ingredients and we love it all the more. If you want a unique Santa Fe style, come visit our restaurant tonight.